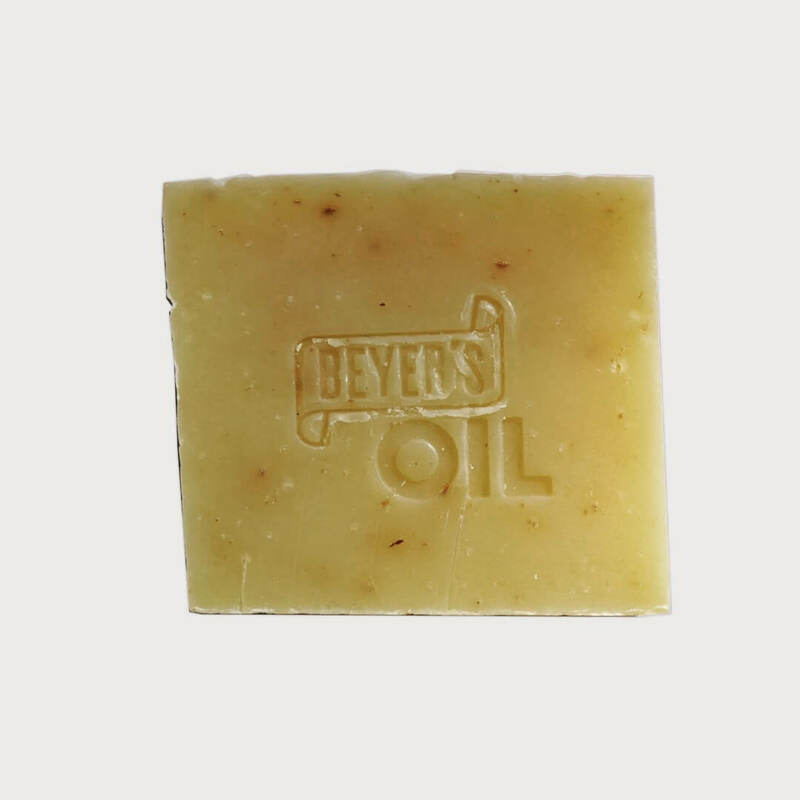 Beyer’s Oil Beard Soap Eisenkraut forms a delicate foam and gently cleans & conditions, allowing the beard to retain its natural moisture. It’s specially formulated for the beard, but can also be used on dry head hair. The natural soap softens and nurtures. Its natural conditioner cares for your hair and replenishes moisture. Premium olive and coconut oils soften the beard and add shine. 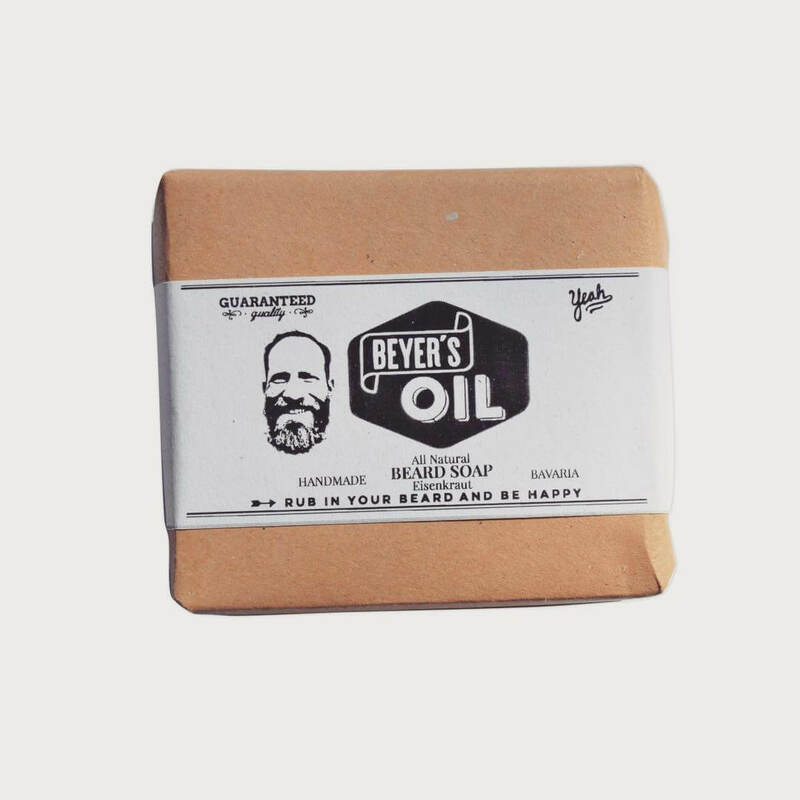 Beyer’s Oil Beard Soap Eisenkraut strengthens hair from root to tip, straightening, smoothing and adding volume to your beard. Premium lemon verbena, blended with bergamot, lavender and juniper essential oils, creates a fresh scent, as well as offering antiseptic and rejuvenating properties. It contains real verbena leaves. The soap is made from 100% natural ingredients. It is gently cold stirred and contains no synthetic additives, silicones, emulsifiers and surfactants. Lather wet beard and head hair with soap, then rinse. A little goes a long way, so you won’t need much soap. Store in a dry place.